Gas Log Fireplace Installation & Maintenance - Eagle Plumbing and Heating Inc.
Searching for reliable Bellingham gas log fireplace installation and maintenance services. Get in touch will the certified professionals at Eagle Plumbing & Heating. Call us today at (360) 318-9999. Click here for discounts and savings on our services. A fireplace is a wonderful addition to any home. Whether you enjoy relaxing next to a burning fire on a crisp autumn day or want an extra heating source for the long, cold winters, the skilled professionals at Eagle Plumbing & Heating can make it happen. Gas log fireplaces are an excellent alternative for homeowners who desire the look and feel of a traditional unit, but do not want to deal with all the added aggravation that comes from owning a wood-burning system. Which is why Eagle Plumbing & Heating offers excellent gas log fireplace services to our customers in Bellingham and the surrounding areas. 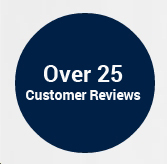 To see what your neighbors are saying about our services, click here. Savings: You do not have to purchase wood for a gas log fireplace, which needs to be hauled to your home and stored. Unloading wood can be a very time consuming process, and create quite an eyesore if you lack the space to store it properly. Safety: Gas log fireplaces are safer for children, pets, and your home, because they do not create sparks, which can be very dangerous and potentially start a fire. Additionally, gas log fireplaces do not create any smoke, which can irritate your eyes and nose. Consistent heating: Gas powered fireplaces produce a constant source of heat without the inconvenience of continually having to feed logs into your unit. Simple operation: Gas log fireplaces are quite easy to use. Typically, homeowners will only need to flip a switch to turn on their system, while some come with an optional remote control that allows you to increase or decrease the flame as desired. Installing a gas log fireplace is generally much safer than putting in a traditional unit. If a fireplace is already built, the professional will first make sure that proper ventilation pipes have been installed. Next, they will remove old fireplace parts, such as the damper and the ash cover, before running gas lines to the fireplace. After this, they will install the fireplace insert and make sure that it is level, before attaching it to the gas lines and connecting the wiring. Finally, they will add any desired accessories, such as glowing embers and imitation ash, before placing the main logs in an aesthetically pleasing way over the grate. The professional will also install a fireplace surround, any doors or screens that are desired, and an optional remote control receiver. Why are these units easier to maintain? Gas log fireplaces are much easier to maintain than traditional systems. They do not create soot and ash, which must be continually cleaned out of your fireplace and swept from the chimney by a professional. In addition, they do not produce smoke, which can embed itself into carpets and upholstery, requiring costly and professional cleaning services. However, gas fireplaces should still be inspected every year. A yearly inspection will ensure adequate ventilation, a clean and efficient system, and properly functioning gas lines. A broken gas line can be very dangerous, which is why Eagle Plumbing & Heating also offers specialized gas leak detection and repair services. Homeowners who use large outdoor propane tanks to feed their fireplaces will need to have these filled and inspected at least once a year depending on how often the gas is used. For proficient gas log fireplace services in Bellingham and the surrounding areas, contact the experts at Eagle Plumbing & Heating. Call us today at (360) 318-9999.